Back before the launch of Destiny 2: Forsaken, Bungie offered a sneak peek for a day in the form of a free preview of Gambit, the expansion’s new co-op/competitive hybrid game mode. Now, Bungie has announced a free weekend for Gambit, giving any curious Destiny 2 players who haven’t taken the plunge on Forsaken yet another chance to give it a shot. The free weekend officially kicks off on Friday, September 21, 2018 at 10 am PT/1 pm ET and runs through Sunday, September 23 at the same time. During this time, Gambit will be available to all Destiny 2 players, regardless of expansion purchases. 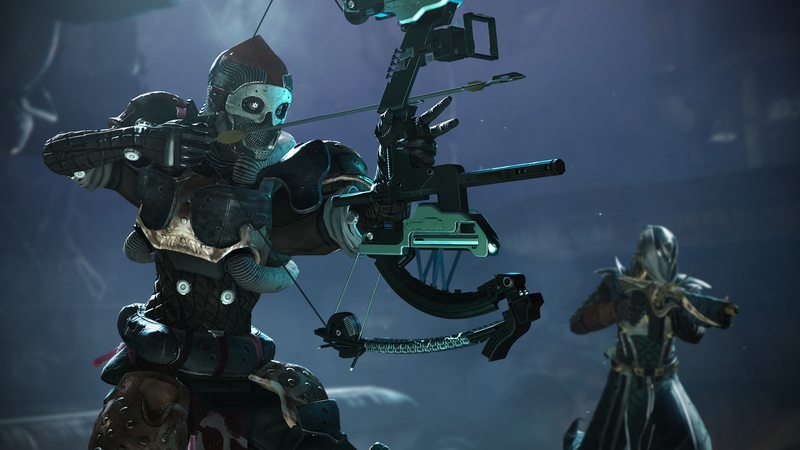 In Gambit, two teams of four enter their own arena of sorts, and each team must work together to take down AI enemies. Each downed baddie drops a Mote, and depositing 75 Motes into the team’s “bank” will spawn a boss. Defeating the boss secures the victory. But it’s not just a race. If you drop certain increments of Motes into the bank, a new enemy called a Blocker is spawned in your opponent’s arena. The focus then has to shift to taking out the Blocker, because as long as it’s alive and kicking Motes can’t be deposited. Invasion portals can also allow players to hop across into enemy territory to wreak some havoc. Don’t forget that you can pick up Destiny 2 for free right now with PlayStation Plus, so if you want to try the expansion’s new mode without having to purchase anything, now is the time to do it.